The European Jewish Congress (EJC) has said that it is considering suing the city council of Iceland's capital, Reykjavik, after it passed a resolution Tuesday banning all Israeli-made goods. "Many have stated that they will start with Israel and then explore other situations, and none have ever gone beyond Israel. This is clearly a case of discrimination, warped hatred and singling out of one nation in the world for opprobrium," he added. Representatives of Iceland's center-right ruling parties voted against the resolution, but the council's left-wing majority backed it. 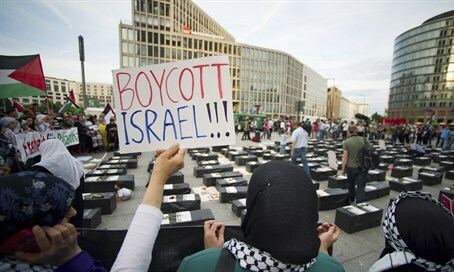 The boycott comes as the European Union considers a move to label products made by Jews living in Judea and Samaria, a move Israel considers tantamount to a boycott. Prime Minister Binyamin Netanyahu recently evoked the Nazi era boycotts of Jews to criticize an EU parliamentary motion on labeling. Explaining the EJC's decision to seek legal advice on suing the council, Dr. Kantor said it was important entities who undertook anti-Israel boycotts not be allowed to discriminate with impunity. "It is time for the Jewish world to fight back and let these people understand that hatred and discrimination cannot come without ramifications," he continued. "There are laws and procedures which should protect a people or a nation from such moves and we will be carefully studying all possible avenues to fight this legally." Israel has condemned the Reykjavik boycott, with the Israeli Foreign Ministry describing it as a "volcano of hatred." "A volcano of hatred is erupting in the Reykjavik city council," Israeli foreign ministry spokesman Emmanuel Nahshon said. "Without any reason and justification besides pure hatred, calls are being issued to boycott the state of Israel."